A world without shipping containers: Could we cope? What would we do without shipping containers? Shipping containers came about to transport precious cargo safely and securely over long distances, particularly overseas. They were built to be durable and resistant to the elements. Because of this, they are now relied upon to transport thousands of goods across the world every day. Their specifically designed durability is one of the reasons that containers are also used for innovative projects and ideas. Like the stationary version of a kitted-out van, containers are now being transformed into a range of different spaces. 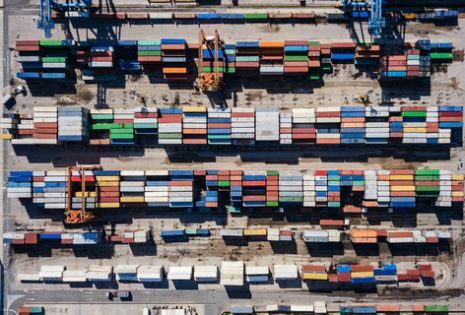 So, what are the ways that containers are used today, and could we survive without them? We live in the age of Amazon Prime and next day delivery. Today, our food, clothes, gadgets and even furniture is ordered online and delivered to our doors in a matter of days. The international movement of items across the world is all made possible by the thousands of shipping containers transporting everything from TVs to sofas, 24 hours a day, 365 days a year. Without these marvels of the transport world, all the things we buy online would never reach our front doors. 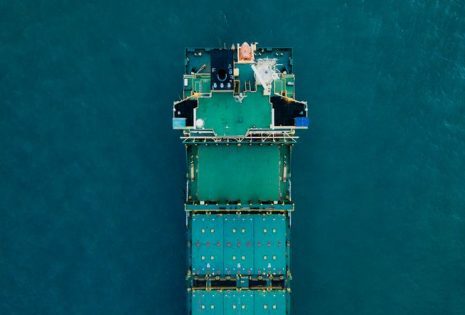 If suddenly everyone stopped using shipping containers to carry cargo, the world would almost certainly come to a standstill.That new iPhone? That’s stuck in Bangladesh. Your sleek new Ducati? Still sitting outside the factory in Bologna. How about the bottle of Jack Daniel’s for your dad’s birthday? Good luck getting that from Tennessee to Torquay without containers. So transport may have come to a standstill, but surely we’d survive on British-made goods. Unfortunately for this container-less world, they are used for so much more than just transporting goods a few thousand miles. In different sectors, in different businesses, offices need to look and work differently. Each office space needs to individually suit the needs of those who work there to maximise the ability to work efficiently. Containers, surprisingly, can be adapted and modified to suit your work requirements perfectly. As construction site offices, containers make durable, cost-effective alternatives to permanent office spaces that offer a calm environment to work from the often loud and hectic work outside. A dedicated, separate office space on your worksite is vital – it works as a space to organise the site outside, to meet and talk with customers, or simply a place to quietly have a sit-down and talk with your colleagues. And when you move locations, you can simply bring your office with you, paperwork and all. Shipping containers are also one of the most eco-friendly solutions for housing a business. If you choose a repurposed cargo shipping container for your new office space, you will be reusing a container that may have already served 10 years transporting goods across the sea. When they reach the end of their life, they are also one of the easiest objects to dispose of – sell them on, recycle the metal, either way you can rest assured that your container isn’t going to be damaging the environment. Now, containers make for some of the best worksite offices, so if they were suddenly to disappear, both worksite managers and hipster startups would be out of luck. Suddenly, the craft beer bars of East London would disappear as their owners struggled to pay Shoreditch’s bricks and mortar rent prices, while worksites up and down the country would fall into disarray with nowhere to successfully plan construction projects or to just have a cuppa. Containers aren’t just for worksite offices and hipster coffee bars. They can also form the backbone of some of the world’s most innovative architectural projects. 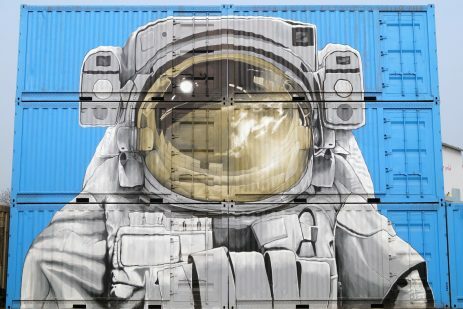 Around the world, architects are thinking outside the box to turn shipping containers into some ingeniously-designed and downright awe-inspiring projects. In India, the architects of the Steel City Container Skyscraper project have made plans to build two residential blocks out of 2,500 intermodal containers in one of Mumbai’s most impoverished areas. In Doha, the capital of Qatar, the Ras Abu Aboud Stadium is currently under construction to be built in time for the 2022 FIFA World Cup and will be made from hundreds of intermodal containers. Like a blank canvas in box form, each shipping container has the potential to be transformed into something amazing with a little bit of creativity and design magic. They are cheaper than many traditional building materials and allow architects to take more low-cost risks to remarkable effect. Without our steel containers, we’d be stuck with expensive materials that just wouldn’t allow architects to showcase their ideas the way they can with cheap, durable containers. By design, shipping containers are used every day to safely transport thousands of items across thousands of miles of ocean. Their designed durability and security makes them perfect solutions for storing your most valuable possessions. Tough enough to protect cargo under the harshest weather at sea, you can rely on your container to keep your valuables safe on dry land. As long as it’s looked after by greasing the hinges and locks regularly, a container-turned-self-storage-unit will look after your belongings for years to come. If all those self-storage containers just disappeared, we’d all feel the effects. Farmers’ tools would suddenly be left out in the open, your uncle’s classic Jaguar exposed to the elements, the contents of your daughter’s flat while she’s travelling the world – all gone. 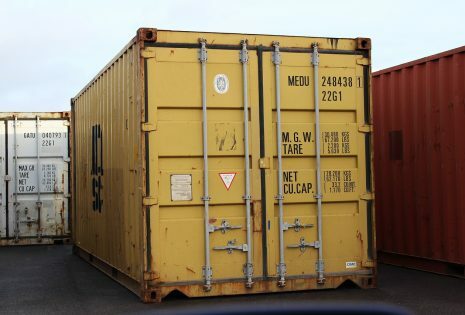 Self-storage containers are used across the world for just about everything and we really couldn’t do without them. 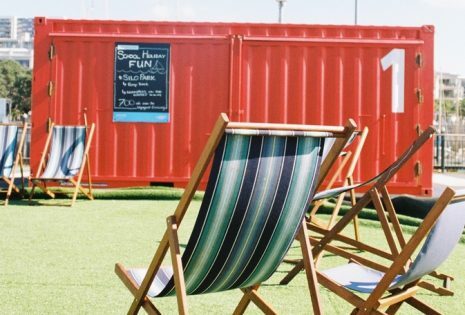 If you have an idea for a shipping container project and you want expert advice on converting containers, get in touch with the team at Unit Hire. We love being creative with containers, so let us help you turn your idea into something amazing.